Talk about pink flamingos and Polly parrots! The Style Index can just see this awesome range of light and lovely colourful outdoor furniture being a hit with the 'I want to furnish it now' crowd when it hits the stores over the coming months. Amalfi's tropically inspired outdoor furniture and decorative accessories promises to take you straight to paradise – or at least provide a comfy place for you to catch some rays outdoors. 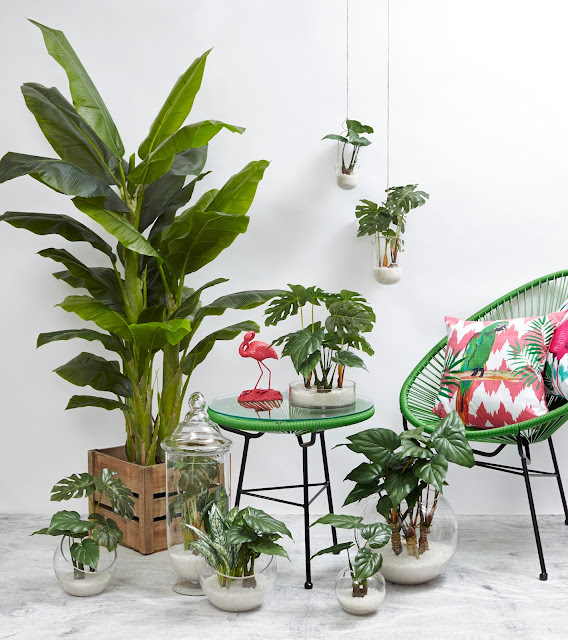 Pull up a Miami chair, string up some pretty glass planters and surround yourself with pink flamingo and lime green parrot decorations and cushions. Instant garden grooviness! Tropicana range of outdoor decor, including the Miami chair and side table, from Amalfi.